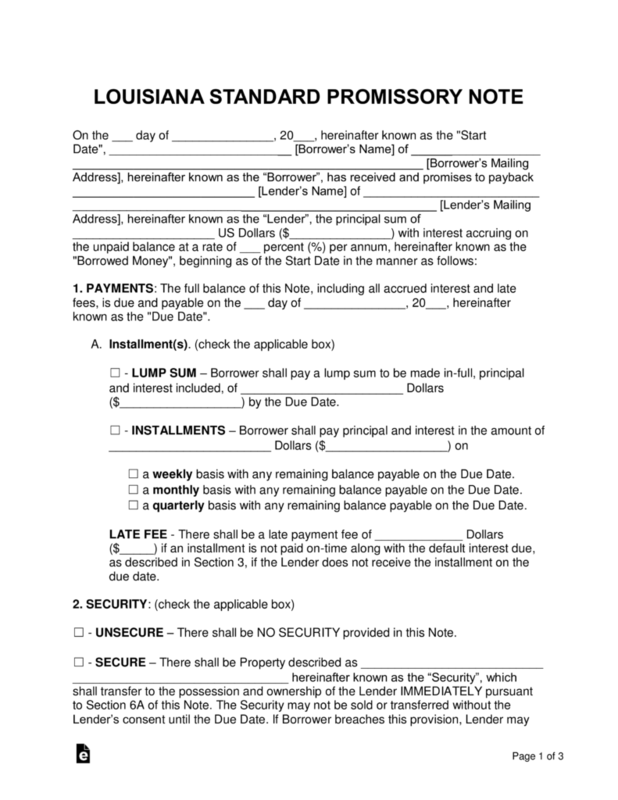 The Louisiana promissory note templates are documents designed specifically for the state of Louisiana and helps to ensure a lender gets reimbursed a loaned amount of money from a borrower in a predetermined set of time. Both parties will need to agree on various aspects of the note before it can go into effect, such as payment types, interest rates, and late fees. 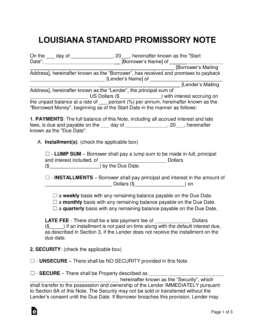 Secured Promissory Note – Includes security, which is an item or items that are given to the lender in the case of a default on the note. Items typically used as security include homes, vehicles, or boats. Unsecured Promissory Note – Does not include security, which puts the lender at a far greater financial risk. To help combat this, the lender should personally know the borrower and ensure he or she has worthy credit. The amount of the conventional interest in Louisiana cannot exceed twelve percent (12%) per annum.